The family of Canon Speedlite flashes may have new additions coming in 2013. 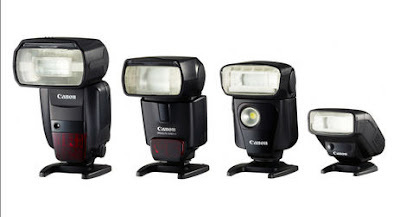 The current Speedlite 600 EX-RT will retain its position as top-of-the line unit but the new replacement will come in the middle of the range, like the Speedlite EX 430 II. New functions and features will include compatibility with the ST-E3-RT radio transmitter.